Direct Response case studies: we currently have 11. 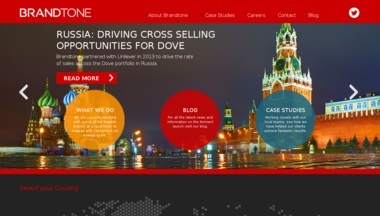 Brandtone partnered with Unilever in 2013 to drive the rate of sales across the Dove portfolio in Russia. This case study looks at how the beauty brand linked on-pack promotion with a mobile campaign to drive cross-selling opportunities across Russia- boosting repurchase sales by 21% in some cases. P&G worked with eye-tracking technology firm Sticky to optimise its digital branding campaigns. This case study looks at how the consumer packaged goods giant saved up to 25% on some of its campaigns by ensuring the ads it paid for were seen by consumer online. At the start of the year, a leading specialist insurer approached performance marketing company Clash Group for help driving requests for quotes and sales of their small business insurance across the States. This case study looks at how the retargeting digital campaign drove 29,000 individuals to click on the ad over three months. As the controversial EU cookie law came into effect last weekend, Channel 4 managed to communicate the idea of collecting user data as part of a positive brand message, with a little help from comedian Alan Carr. The ‘Viewer Promise’ email and video campaign drew upon the broadcaster’s 2011 data strategy 2011 to give viewers a more personalised experience, which helped it amass a database of 2 million viewer profiles. Supporting its integrated ‘Predator vs F50’ campaign through a Windows Live Messenger game proved a winning formula for adidas, with the online platform a key player in driving consumer interaction – and registrations for the campaign’s star-studded ‘Predator vs F50’ contest. Encouraging MSN users to browse flights and check availability through an innovative ‘mouse-over’ ad format gave All Nippon Airways (ANA) lift off in conversions. Inviting Spanish rock fans to jam online through MSN Video ensured a big audience reaction when Motorola’s new EM325 handset took to the stage. With ads on Windows Live Messenger alone delivering 39,500 click-throughs in 3 hours, a sell-out crowd was guaranteed.